Personal growth is one of the most important obligations of a Children’s & Family Ministry Leader (actually, of any leader). And, yes, I said “obligation”. If I have been assigned a leadership role in a church, with the goal of equipping and growing children, parents, volunteers and staff, I must be growing. If I am not, I will soon be unable to lead effectively. 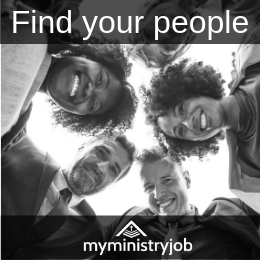 What are you doing to grow yourself as a Children’s & Family Ministry Leader? 1. Understand what personal growth is…and is not. Personal growth, simply put, means investing in yourself in order to create the best version of you – the one that God created and enabled you to be from the beginning. Growing yourself does not guarantee success. However, not growing yourself comes about as close to guaranteeing failure as you can get. Likewise, growing yourself isn’t going to solve every problem that you now face or will face in the future. However, you will be much better equipped to handle the challenges if you have invested in yourself over time. Finally, while we can get into daily routines that become a regular part of what we do (see next point), personal growth is not always (or usually) easy. I’ve recently decided it’s time I invest more heavily in my personal fitness. Because I’ve somewhat neglected this area for a few years (primarily because of a very heavy travel schedule), I’m finding it harder than ever to get back in to shape. Personal growth isn’t a magic bullet. It does take work. But every bit of it will be worth it in the end. 2. Recognize that personal growth is a commitment that takes time. When I decided I needed to work on my fitness, I went for a run around the block. It didn’t solve my fitness problem. But as I’ve continued to run almost daily, I am slowly feeling stronger and more able to run further. As I continue to get out of bed and onto the street, I will continue to improve in my ability to run further, faster and more easily. Virtually everything we do to grow personally is the same way. If I want to learn about a particular area, reading one book or listening to one podcast isn’t going to teach me everything I need to know in that area. Personal growth is a commitment that takes time – daily. 3. Identify the areas in which you want or need to grow. What are the areas of personal growth that will most benefit you and those around you? So, over the past 25 years, I’ve tried to continually keep up with what is being written and what is changing in these areas, and then tried to apply what I’m learning to the areas in which I’m leading. Recently, as I mentioned, I added my personal health as an area I needed to focus on. Also recently, I’ve added learning Spanish. Why? Because I have a staff member who works for me overseeing our work in Latin America (for David C Cook) who doesn’t speak English really well. So she’s committed to learning English better, and I’ve committed to learning Spanish. Identify areas of growth that you need to focus on. Do it on a large scale in general terms. But don’t neglect identifying the new areas of growth that you need to focus on during a particular season. 4. Choose the best tools to help you grow. A mentor (ok, so “tool” is probably not the best term for an actual person helping you grow, but you know what I mean!). Learning from a mentor can be, perhaps, the most important way you will ever invest in yourself. Someone who has “been there, done that” can literally be priceless. They know the right questions to ask. They can help you see the pitfalls ahead. They can provide encouragement, admonishment and just the right information – all at the right time. Virtual mentors. I had the privilege of serving under John Maxwell many years ago. While I was on his staff, he personally invested in developing me. But, unfortunately, that lasted only a few years. But he has continued to teach me for the 20+ years since then through his books, seminars, and online tools. You don’t have to personally meet with, or even personally know, someone in order for them to be a mentor. Identify those who you resonate with in the area in which you want to grow, and soak up everything they produce. Of course, as with anyone or any tool, you must filter everything through the Word of God for yourself to ensure it’s validity and accuracy. But leaders from all over can serve as virtual mentors for us and there is so much to learn from them. Identify a few that you can learn consistently from. Books. You’ve probably heard the phrase “a leader is a reader and a reader is a leader”. It is absolutely true. I do not know any good leaders that do not read regularly on a wide variety of topics. If you want to continue to move ahead and move up as a leader, you must read. Early in my ministry I understood this idea, but I struggled. I always had a big pile of books on my nightstand and I was continually feeling guilty at my lack of reading. I would look at that pile and feel overwhelmed and, usually, just walk away and not read at all. Then, one day, my Executive Pastor, Dan Reiland, gave me a life-changing bit of advice. He said, “Greg, here’s what I learned to do to solve that problem: simply commit to read one chapter a day.” One chapter! Can I do that…YES! And guess what? If you read just one chapter a day, you will read somewhere around 25 books a year. That is more than 99% of the people around you. PS. Follow the links on the right side of this page for more great book options. Really, there are dozens of great podcasts that, with a little research, can help you in so many ways. And I am finding it far easier to find the time to listen than I ever thought – in the car, while walking or running, or any number of other times during my day. E-newsletters, book summaries, blogs and conferences. There are almost endless sources of great information. With a little effort (and Google search! ), you can find just about whatever you might need to feed your mind regularly. You just have to make the effort. 5. Practice personal growth habits. The best way to make what you are learning stick is to put it in to practice. The key is being willing to practice it imperfectly. So practice leading the meeting after you’ve read that book about leading productive meetings. 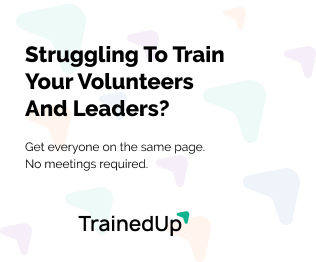 Practice building your team after you’ve listened to that podcast about team building. Implement the ideas about communicating effectively after you’ve listened to that speaker about communication. And be willing to fail, or at least not be satisfied with how you applied what you learned. And then try again. And again. And again. As you identify areas to grow, access tools and resources to learn from, and practice applying what you’ve learned, you will grow. If you want to lead, you’ve got to learn. What have you learned about personal growth in your ministry? Ruth Haley Barton now has a podcast called Strengthening the Soul of your Leadership on iTunes. Another great resource for leaders. Awesome. I actually just started her book by the same name. I’ll check it out. Thanks! You have suggested very good tools! I’ve been in Children’s Ministry Leadership for close to 31 years and the only reason I’ve stayed for the long haul (besides passion and calling) is because having a growth plan was my top core value. It is essential! Think about it, if you’re on empty you can’t serve anyone. Serving on empty is like hosting a meal and serving dinner from empty bowls. Doesn’t work so well!